Westernization has done wonders in our culture, ever since the beginning of time. Right from the changes done to the infrastructure of our country to the amendment in various laws, it has been interminable. However, a very famous feature of westernization that has influenced our country massively is that of online dating. It has become a major part of social media today. So for all of you who are not familiar with what internet dating is, here’s what it is. A guy and girl engrossed in the world of online dating. Pic Credits -Digital senior. 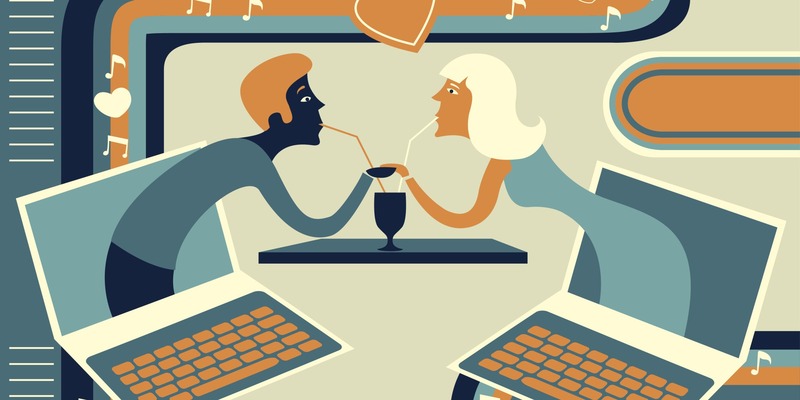 Online dating, also known as internet dating is a system that qualifies strangers to find and introduce themselves to new personal connections over the Internet. This is usually done with the goal of developing personal, romantic, or sexual relationships. An online dating service is a company that provides specific instruments for internet dating widely through the use of the Internet. A lot of dating companies offer a plethora of services which are not always moderated. Today, there are so many applications like Tinder, Happn, Okcupid, Coffee meets Bagel, Hing, Tastebuds, Match.com and Bumble. Nevertheless, we must not forget the best dating application in the world of online dating in India. This is by far India’s best dating and matchmaking app which uses the perfect algorithm to advise matches according to your interests. It has some excellent features that enable you to keep your images safe. Your friends can also endorse you to increase your trust score in this application. The additional benefits of the application are that of connecting with other social media accounts in order to increase your trust score, conversations, etc. It was founded by Sachin Bhatia, Hitesh Dhingra and Rahul Kumar. 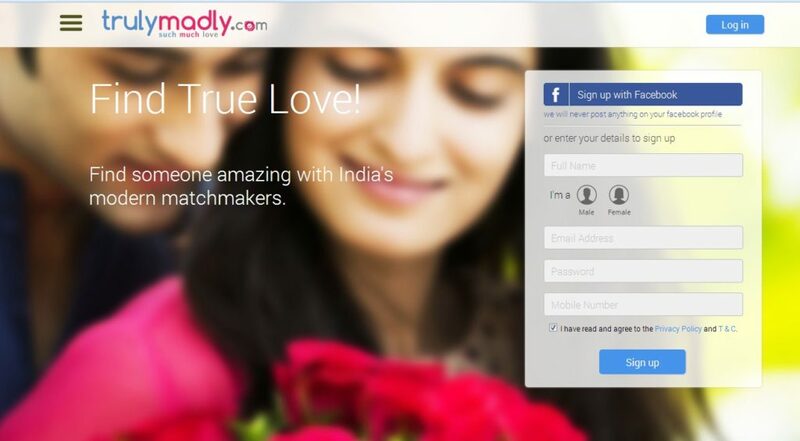 TrulyMadly has fostered the world of internet dating and had around 200, 000 downloads in March 2015. A third of its users are females. A lot of the users spend around 40 minutes of their time on this application each day. The overall usage rank on the 2nd of March, 2017 was 34680. This overall usage rank stooped down to 28470 by the 2nd of April, 2017. From around the web to the store page, 26.8% of the traffic to this application comes through search, 73.2% through referrals, whereas mail, direct, social and display ads generate absolutely no traffic towards this application. On the other hand, 81.7% of the referring apps, 18.3% of the play store are brought in from the play store to the store page. This application is a unique one that comprises of exciting features like Select, Sparks, Nitro, Video Profile, Super safe, Trust score, endorsement, stickers, quizzes, ask a friend, display profile and preferences that are absolutely free. It lets single people discover each other through shared interests and personality profiles that are shared online. What makes it different from the other dating apps is its Trust Score system. In this app, every individual is verified with a score calculated from the data on his/her social network profile, phone number, and even photo ID. This system helps women feel safe about chatting and meeting people and also helps men increase their chances of getting matches. Facebook plays a major role in cultivating a trusted user verification system on TrulyMadly. Not only does Facebook Login provide an easy way to sign up and log in, it also enables people to use their existing information on Facebook to fill out their TrulyMadly profiles in a jiffy. With such expediency, more than 80% of TrulyMadly’s customers now access the app with Facebook Login. TrulyMadly uses Graph API to fetch his/her information such as pictures, first name, age, location, gender, and relationship status upon a user’s consent. This information is used in TrulyMadly’s match-making algorithm to help users find their perfect match, along with increasing a user’s trust score. The best part about this is that it allows people to control what information they allow the app to use and what the app posts to Facebook. This ensures a high level of privacy for its customers. TrulyMadly now uses the Facebook Analytics for apps instead of their in-house analytics tool which they previously used. This was done in order to allow for more extensive customer behavior analysis. They use Facebook Analytics for Apps to find the number of daily, weekly and monthly active users. To add to this, they use associates to discover what their daily and monthly user retention rates are like. Selection of certain user segments is possible due to the Facebook Analytics for Apps that allow them to create a seed audience list. Based on this seed audience and target ads to people who will become high-quality users of the platform, Custom Audience enables them to create a Lookalike Audience. To obtain these new customers, TrulyMadly uses Facebook App Ads, targeting ads to people of specific demographics and interests. The CPI on Facebook was 50% less than what they have spent on any other social media services. With more than 20% of their customers acquired from Facebook, App Ads have become their favored source for paid acquisition. Nevertheless, there is still a vast segment of the population that has not resorted to internet dating apps. Regardless of a few apps being extremely safe in nature, we cannot guarantee if people would give into their charm, TrulyMadly.